You're in Banff National Park in January. It's -20 �C and a cold wind is blowing. Ideal conditions for the Jack Wolfskin Bering Parka Jacket. 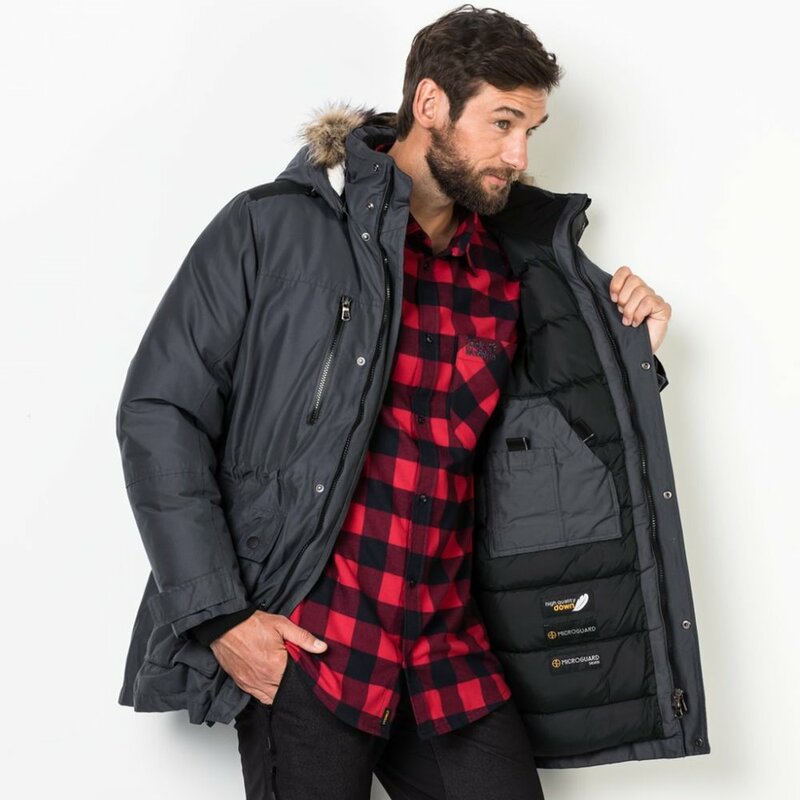 This jacket will keep you warm on the coldest of days. 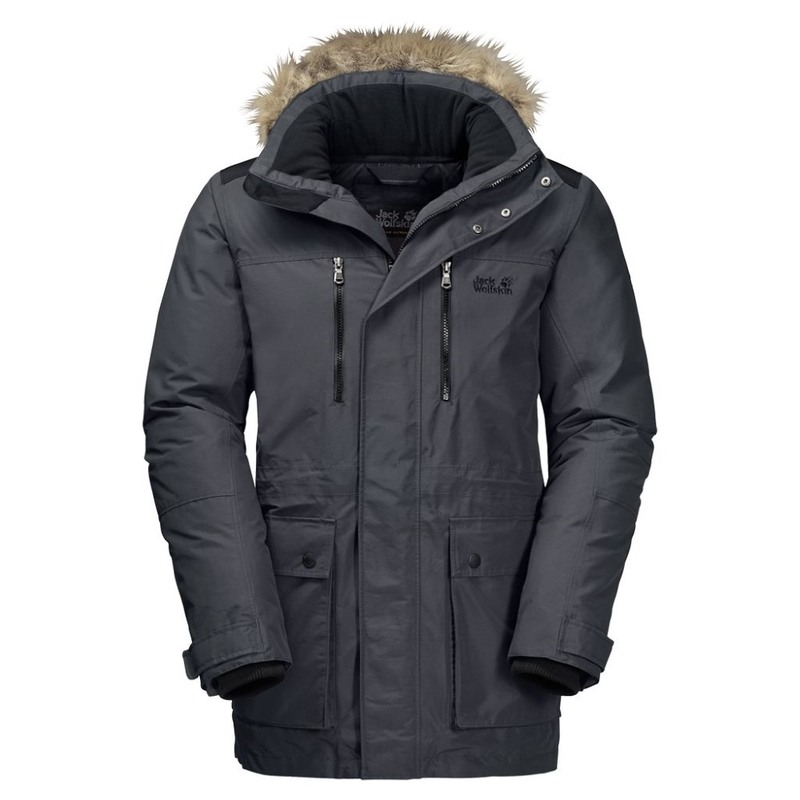 The cold-busting combination of a waterproof TEXAPORE outer fabric and a warm down fill makes sure of that. The TEXAPORE FUNCTION 65 fabric has a high proportion of organic cotton. 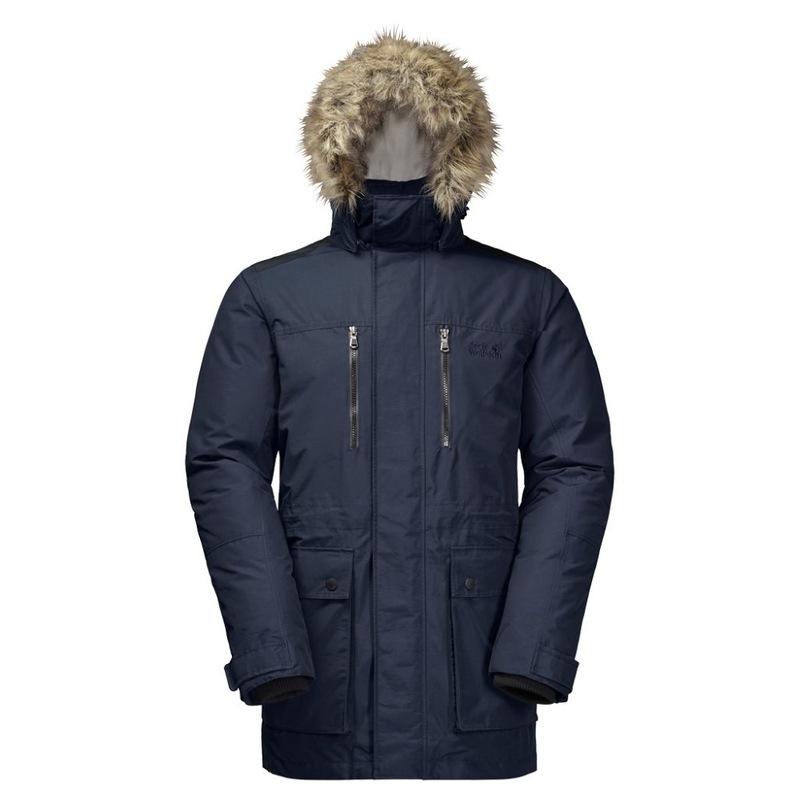 So it provides reliable rain and wind protection, good climate comfort and has a pleasantly soft, high-quality feel. 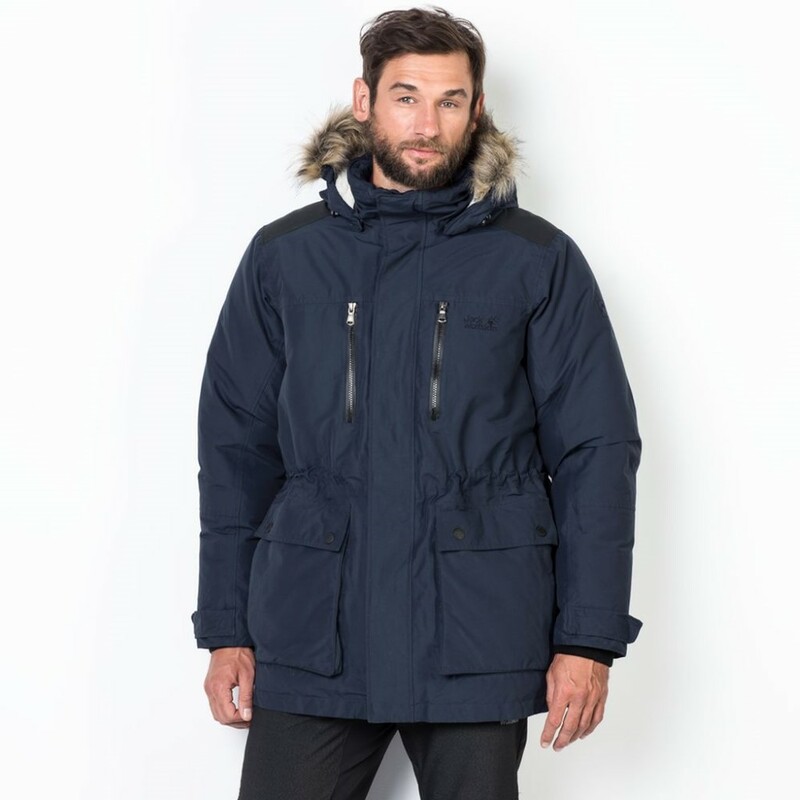 While you explore the snowy countryside, the BERING PARKA's down fill will keep you warm and cosy. 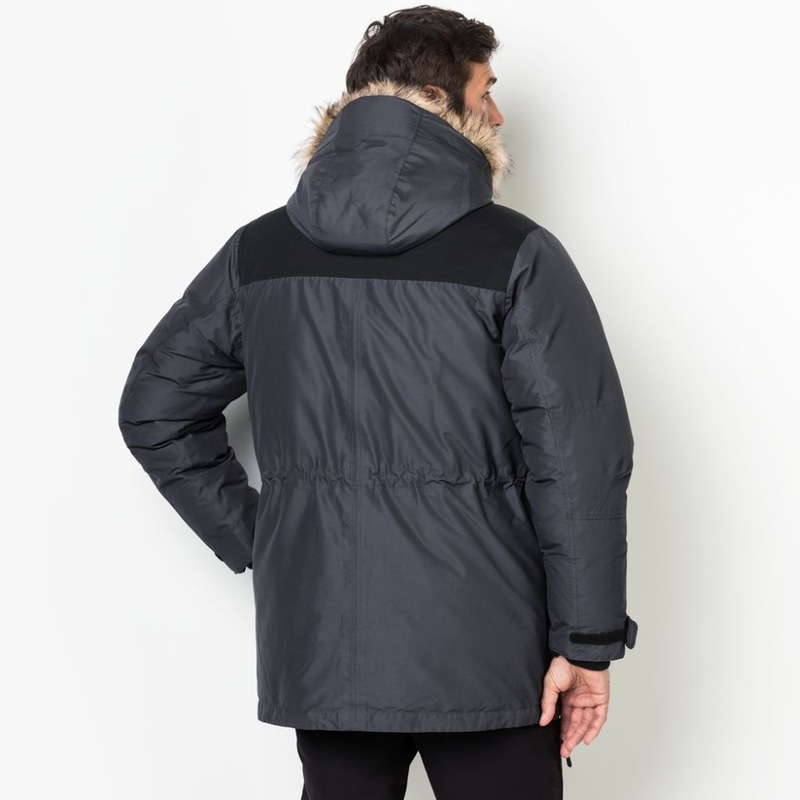 To complement the down, the parka also has a SHERPA fleece lining. 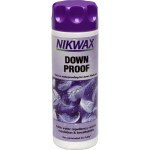 So you are guaranteed to stay warm, no matter what the weather throws at you. 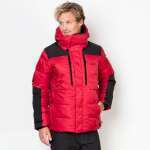 An additional layer of synthetic fibre insulation with bonded metallic particles means you warm up faster, as soon as you slip the jacket on. Icy-cold north-easterly winds? Not a problem. The typical parka style fake fur trim on the hood means you'll hardly even notice it. In calmer weather, you can remove the trim (or the whole hood if you want). 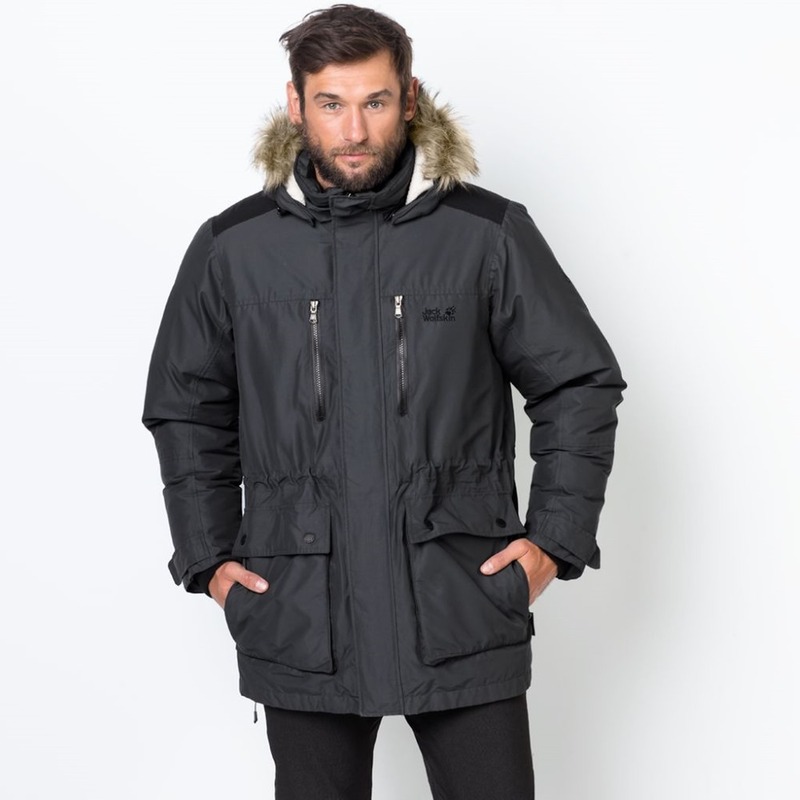 The other features are also in keeping with the legacy parka style: a longer cut, a waist draw cord and a total of nine pockets for your important little items.